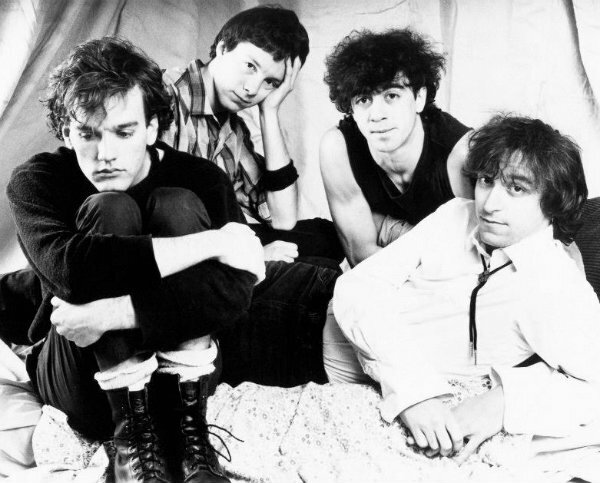 Though not officially announced, it appears a major archival project is in the works from R.E.M. : a nine-disc CD/DVD boxed set of BBC recordings that currently is listed for pre-order via Amazon in the U.K., along with a 2LP “best of” set culled from that larger collection. R.E.M. at the BBC is listed on Amazon.co.uk as being released Oct. 19 by Commercial Marketing — part of Universal Music Group, which oversees the old I.R.S. Records catalog through the Capitol Records imprint. A 2LP vinyl set called The Best of R.E.M. at the BBC is listed for release that same day. There’s no tracklist, product description or packaging details included on the listing, so not much else is known about the box set, though its release later this year was referenced — as an eight-disc collection — in an article posted by the BBC last week about archival live recordings. Given the involvement of the music group that controls the I.R.S. catalog, it’s possible the collection only contains material from the band’s years on that label — thought that seems like a finite amount of material for a nine-disc collection. It’s also possible Universal licensed later material from Concord Music, which in 2015 took control of R.E.M.’s post-1987 material released by Warner Bros.
We’ll update this as new information surfaces. Definitely interested in more info on this. I’m not sure that there is much IRS-era material in the BBC archive. I recall a live set broadcast on the Richard Skinner show from ‘85 but the BBC usually recorded bands when in the UK while on tour. REM didn’t play that much in Britain during 86/87. Most broadcast stuff is from the Warners years. Plenty of radio specials and TV apperances, and the full set from Milton Keynes in ‘95.